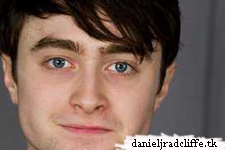 I noticed that danradcliffe.com also has made another post about the fact that Dan has NO Twitter account (he has mentioned it many times himself). But many of you still seem to be fooled by @Danieiradciiffe (over 300,000!). So I definitely think it's good to spread it around again also, that's why I decided to post this.